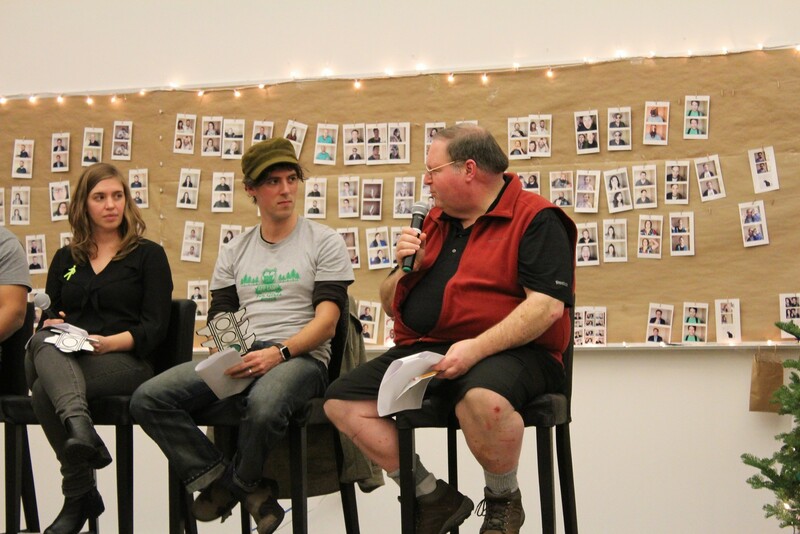 On a rainy, dark evening last Thursday, around 50 people came to a live podcast event hosted by BikePortland, Community Cycling Center, and Oregon Walks to hear a panel talk about the intersection of transportation and technology. 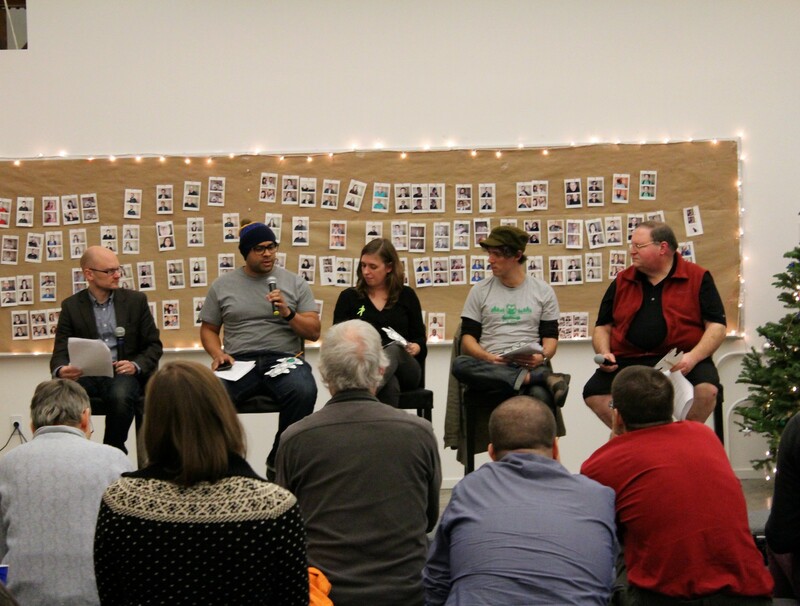 The panel featured community leaders’ voices, including our own CEO, Mychal Tetteh; Executive Director of Oregon Walks, Noel Mickelberry; founder of Knock Software, William Henderson, who also created the Ride Report app; and Chris Smith, Portland Planning & Sustainability Commissioner. The podcast covered topics ranging from, what issues can technology solve, like speeding, to when would a self-driving car be most useful (driving 5 hours down I-5, according to Mychal) to a discussion of the panelist’s favorite traffic lights. Watch or listen to the podcast below! Thank you to Simple for hosting this special event in your beautiful space and thanks to Lagunitas Brewing, Hopworks Urban Brewery, and Alberta Street Co-op for keeping our guests fueled.